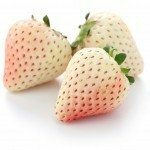 Have you ever seen a white film on your strawberry fruit and wondered, “What’s wrong with my strawberries?” You aren’t alone. Strawberries are easy to grow provided you have them in some sun, but even so, they tend to suffer from fungal infections. 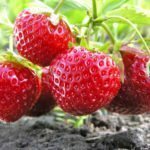 What are some common diseases of strawberry and what, if anything, can be done about strawberry plants with a white to grayish film? What’s Wrong with My Strawberries? Strawberry plants produce nutritious, aromatic, sweet fruit. 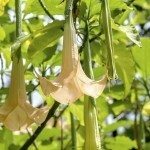 They vary in hardiness depending upon the cultivar. Wild strawberries are hardy to USDA zones 5-9 while cultivated strains are hardy to USDA zones 5-8 as perennials and as annuals in USDA zones 9-10. You’ve probably purchased strawberries, put them in the refrigerator and then a day or two later went to use them only to discover a white film on the strawberries. As mentioned, they are prone to fungal infections that may account for this fuzzy growth. The same thing may happen in your garden-grown berries — a white to grayish fuzz on the berry itself or coating the strawberry leaf. One of the most common fungal diseases of strawberries is powdery mildew. Powdery mildew (Podosphaera aphanis) infects the tissue of strawberry plants and despite the fact that it’s mildew, which we usually associate with wet conditions, this strawberry leaf coating is fostered by dry conditions with moderate humidity and temps between 60-80 F. (15-26 C.). 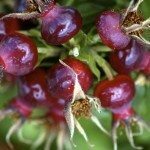 Spores are carried by the wind to infect all parts of the berry. Early infection appears as a white powdery coating on the underside of the strawberry leaf. Eventually, the entire underside of the leaf is covered and the leaves curl upward with the appearance of dark round blotches. Powdery mildew also affects the flowers, resulting in malformed fruit. To combat powdery mildew in your berries, place in a sunny area and space the plants to ensure air circulation. Avoid too much fertilizer and use a slow release food. If just the leaves seem to be infected, prune out the infected parts and dispose of any plant detritus from around the berries. Also, some strawberries are more resistant to powdery mildew than others. Short-day varieties and those that fruit in May and June are slightly more resistant than day neutral- or ever-bearing varieties. Of course, you may also have to apply a fungicide. Use the least toxic options first, such as neem oil, mixed at 1 ounce to 1 gallon of water. Spray as soon as symptoms appear, spraying both the upper and underside of the leaves. Don’t spray when temps are over 90 F. (32 C.) and not within two weeks of using sulfur fungicides. 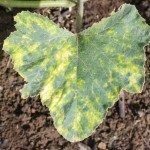 Sulfur fungicides may also control the powdery mildew but only as a preventative, before symptoms appear. Consult the manufacturer’s directions for the correct ratio and timing. Strawberry plants with white film may more likely be attributed to angular leaf spot (X. fragariae). Infection produces bacterial ooze under humid conditions. This white film dries on the underside of the leaf. Gray mold may also be responsible for a white film on the plant. Gray mold affects the berries, beginning under the calyx and spreading as fruit touch each other or spores are water splashed to other fruit. The fruit becomes brown, soft and water often covered with a grey or white fuzzy growth.